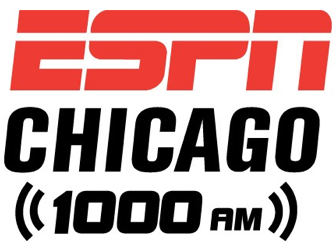 Carmen is the co-host of the highly rated “Carmen, Jurko, and Harry Show” anchoring the afternoons on ESPN 1000. Carmen got his start working as a producer for WLS radio and began working at ESPN 1000 in 1998. From 2001 to 2005 Carmen was a part of the Chicago Bulls flagship broadcasts handling pre- and post-game duties and has also served as ESPN’s Chicago Bears’ beat reporter. Carmen has covered all Chicago sports including the Cubs, White Sox, Blackhawks, Bears, Bulls and Chicago-area college athletics. Carmen drives ESPN’s afternoons with his creative and intuitive broadcast skills. Carmen graduated from Columbia College in Chicago with a degree in broadcast journalism and lives in Chicago with his wife and newborn son.